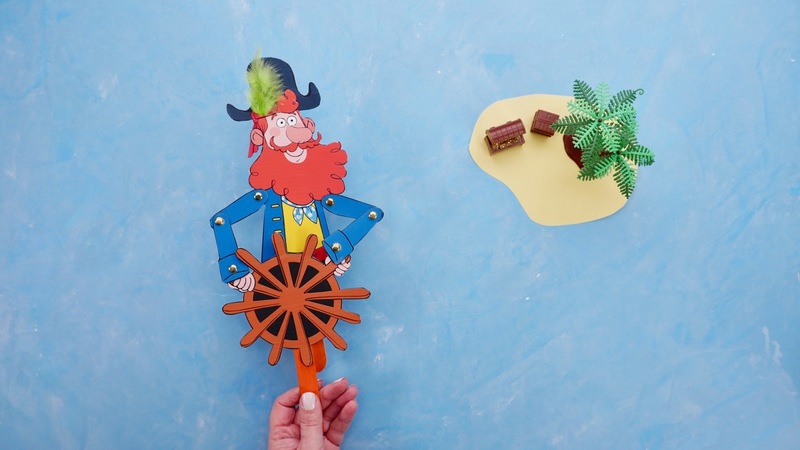 Here’s how to make a puppet of Captain Seasalt that can steer the ship! Print out the template. 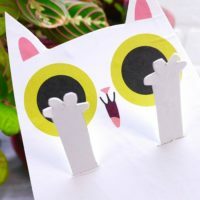 Roughly cut out shapes and glue with a glue stick onto bristle board . This step will save you from cutting the fine detail twice. 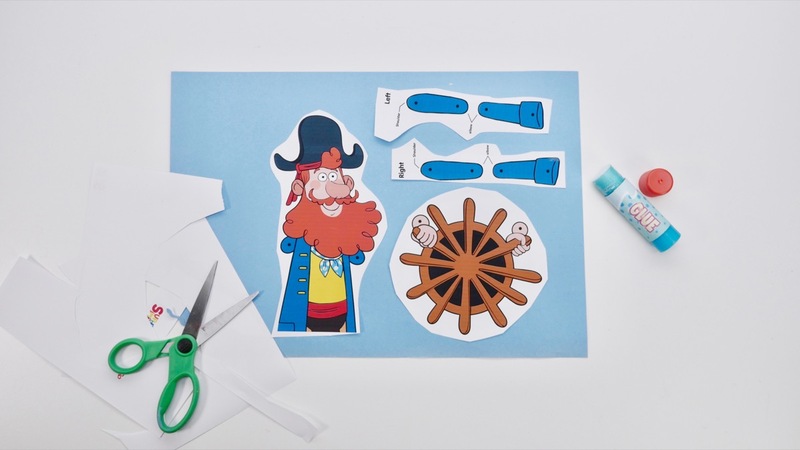 Cut out all the pieces: the Captain’s body, his two upper arms, his two lower arms (with big sleeves), and the ship’s wheel with his hands attached. Use a hole punch or a pencil to carefully make all twelve holes making sure you get through both layers. Punch an additional hole in the hat to place a feather . Glue one popsicle stick to the back of the ship’s wheel, right below the hole. Check the photo to make sure that you’ve positioned it properly, relative to where the Captain’s hands are. 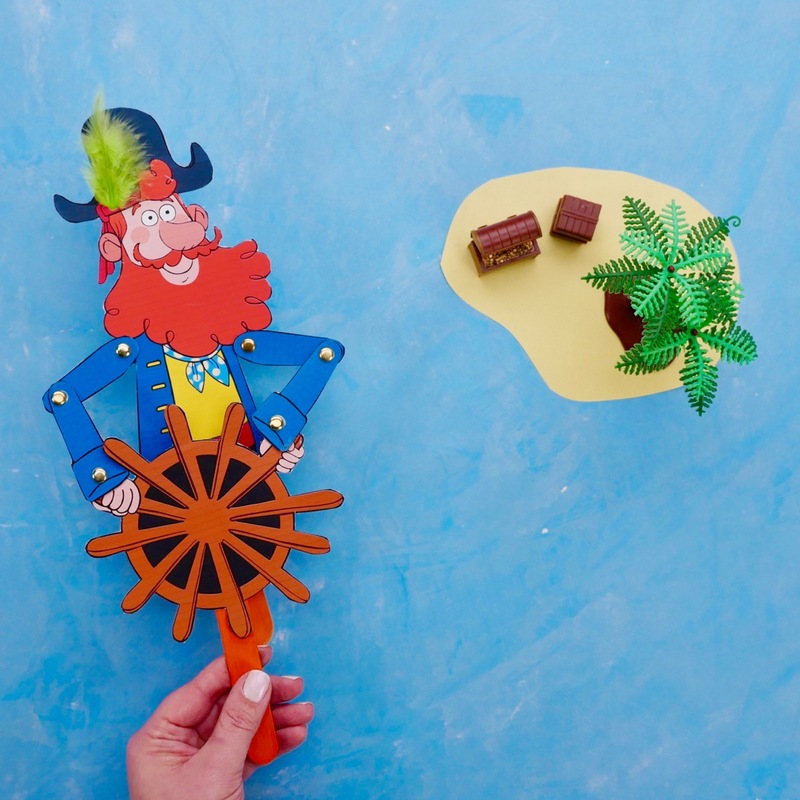 Glue the other popsicle stick to the back of the Captain’s body, making sure not to cover the hole in his tummy. While you’re at it, feed the feather into place and tape the tip down. Trim the feather from the bottom if it’s too long. Now it’s time to put him together! 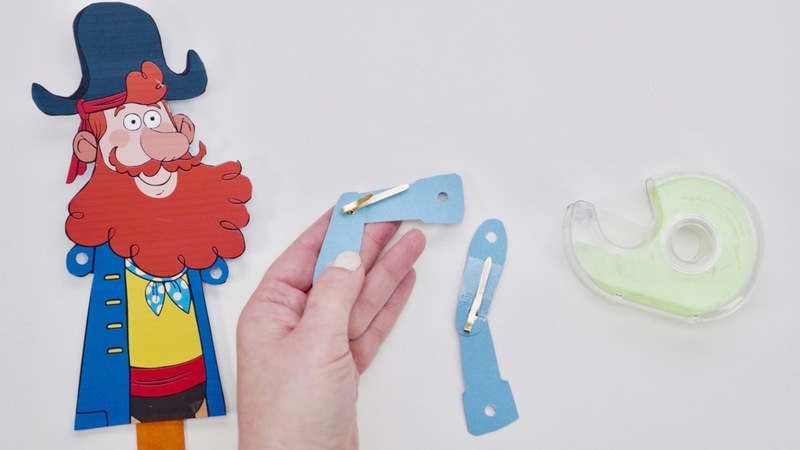 Collect your brass fasteners and use them to assemble the pieces. 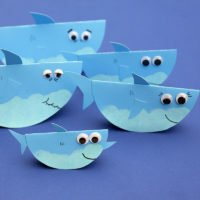 Attach his upper arms at the tabs on his shoulders, then attach his lower arms in front of his upper arms at the elbow. Finally, attach his cuffs over his hand tabs. 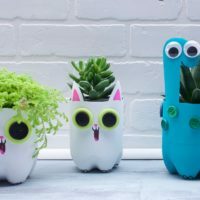 You may want to turn the brass fasteners in the holes to help loosen them, so that everything turns smoothly. Tape fasteners into place so they don’t rotate and stick out. You’re done! 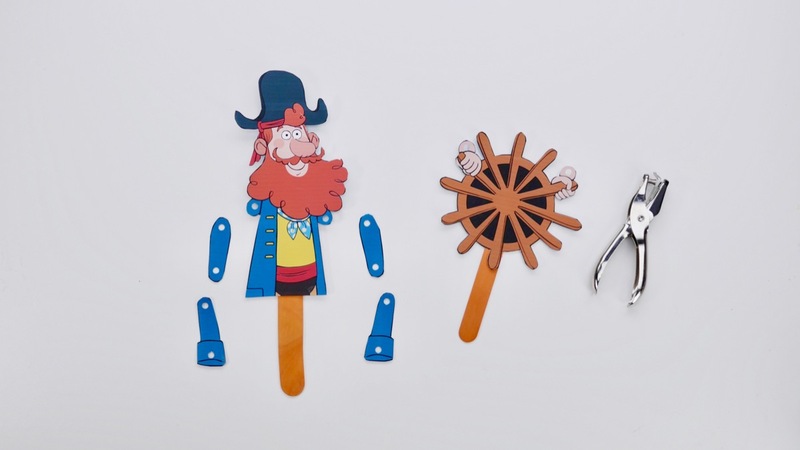 To perform your puppet, hold a popsicle stick in each hand. Use one stick to hold the Captain’s body upright. Use the other stick hold the ship’s wheel. Move in opposing directions. 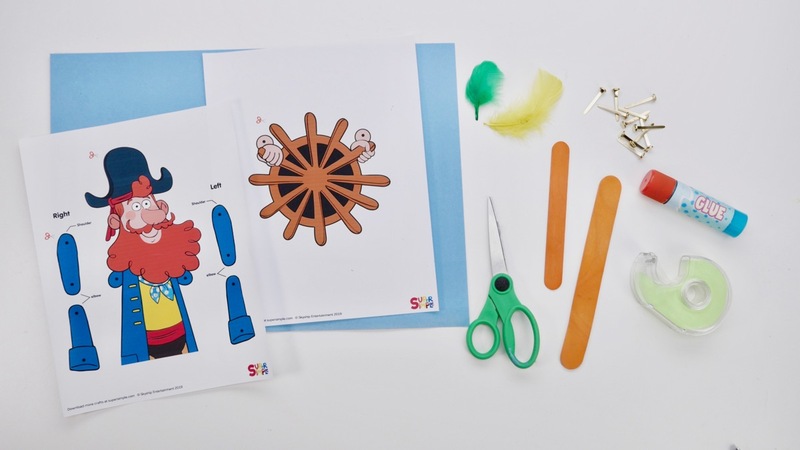 Captain Seasalt’s arms will follow the wheel, and it will look like he’s really steering the ship!